Why See Portugal. The Man? Experimental rockers Portugal. 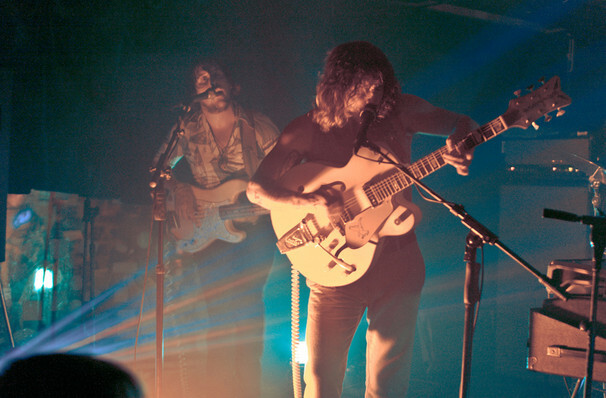 The Man are back with a brand new album after five-years perfecting their new material. Distinguished by their lo-fi electronic soundscapes, atmospheric guitars and frontman John Gourley's falsetto vocals, the band's latest offering Woodstock is inspired by the political protest music of the 60s and couldn't come at a better time. The hit single off the album, Feel it Still, scored the rockers a Grammy for Best Pop/Duo Performance, and last year it spent more than 20 weeks at the top of the alternative rock charts. Arguably, it's one of the most popular songs on this latest album. The Portland-based pop prog outfit are known for their unique shows in which they control their own lights while playing on stage. Their slow-building psychedelia takes on jam-like qualities, allowing the band and the audience to get lost in their musical revery. 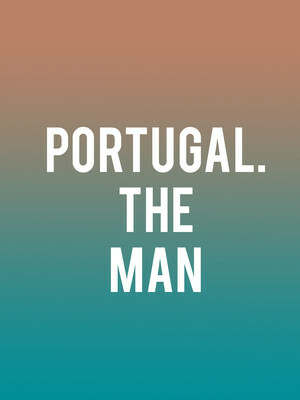 Danceable and euphoric, Portugal. The Man's hypnotic beats and intense visuals are not to be missed. Sound good to you? Share this page on social media and let your friends know about Portugal. The Man at McMenamins Historic Edgefield Manor. Please note: The term McMenamins Historic Edgefield Manor and/or Portugal. The Man as well as all associated graphics, logos, and/or other trademarks, tradenames or copyrights are the property of the McMenamins Historic Edgefield Manor and/or Portugal. The Man and are used herein for factual descriptive purposes only. We are in no way associated with or authorized by the McMenamins Historic Edgefield Manor and/or Portugal. The Man and neither that entity nor any of its affiliates have licensed or endorsed us to sell tickets, goods and or services in conjunction with their events.